Although across history, real estate was primarily used as a tactical investment, it has more recently become popular as a long term core strategy as a result of increasing concerns about the future variability of stock and bond returns and heightened market efficiency. If you plan to make permanent real estate part of your investment portfolio, it is important to understand the expectations that you have and the risks you may encounter. 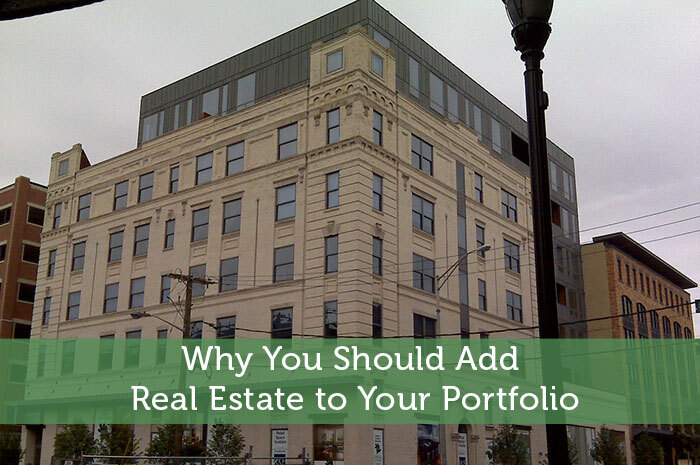 There are many reasons to consider incorporating real estate into your investment portfolio. Read on to learn more about this. Over the course of history, investor interest in purchasing real estate has primarily been for the purposes of maintaining the purchasing power of capital and diversification. In comparison with stock and bond investments, market indexes in the real estate industry have consistently shown low correlation. Many successful people also started out or grew their wealth by incorporating real estate into their portfolio, only enhancing the draw that real estate holds. This means that if you have an interest in diversifying your portfolio, real estate investment can be the most appropriate avenue. Real estate investment can also be important for hedging inflation. Unlike other forms of investment that are fraught with challenges like service providers or manufacturing concerns, there is less demand elasticity to be concerned with when you make a real estate investment. Real estate tends to keep purchasing power of capital by passing all or some of the inflationary pressure on to the tenants instead. Finally, real estate can be a positive addition to your investment portfolio because it has the ability to reduce risk. Portfolios that follow a cash flow strategy plan and lock in rates on longer term leases have less exposure to risk in terms of market movements as well. Properties that have long term leases and are well-occupied will also be able to provide stable income streams for the individuals who own the property. Real estate in Florida is becoming an increasingly popular option for new investors, because it draws attention not just from buyers in the U.S., but also abroad. This means that Florida is always on the map when someone is looking to consider their real estate options. The popularity of living in Florida means that someone interested in investing in this market has a good bet that the property may improve in value over time or that it will draw the interest of potential buyers. This is why you may want to consider some of the most popular areas in Florida if you’re interested in investing in real estate. Although there are influences in terms of interest rates on the real estate market, many people love to purchase real estate for the opportunity to learn more about the real estate industry and also to invest in a different type of market. If you already have a well-developed investment portfolio but have not yet moved into the real estate sphere, this could be a good opportunity for you to start small and grow up bigger. A Real Estate Portfolio is better then stocks! !